1. The view menu is now in 2 different places. 2. 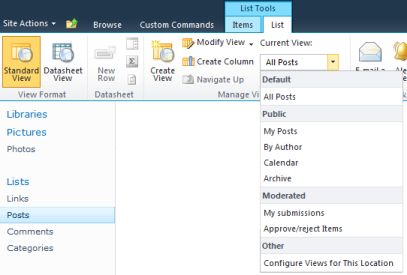 Customized views will only display it in 1 place. 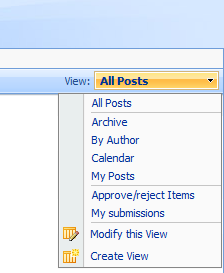 In SharePoint 2007, the View menu was right on the list toolbar as seen below. 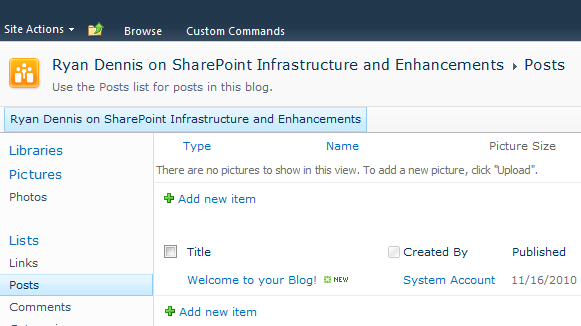 Modifying the view page (adding a web part to it, for example) takes away this functionality. 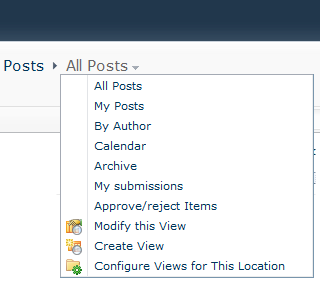 The only way I’ve been able to get it back is to revert the view back to the “default” state.